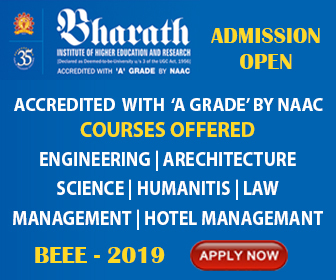 The Gandhi Institute of Technology and Management (GITAM), Visakhapatnam has released an admission notification inviting applications from interested, eligible candidates to apply for its Bachelor of Technology (BTech), Bachelor of Architecture (BArch), Bachelor of Pharmacy (B.Pharm), Master of Technology (M Tech) and Master of Pharmacy (M Pharm) Programmes offered at Bangalore, Hyderabad and Visakhapatnam Campuses for the commencing session 2019. Online admission test for admission into UG, PG Programs in Engineering, Architecture and Pharmacy through GAT Test 2019. In Which mode the GAT Tests are conducted? 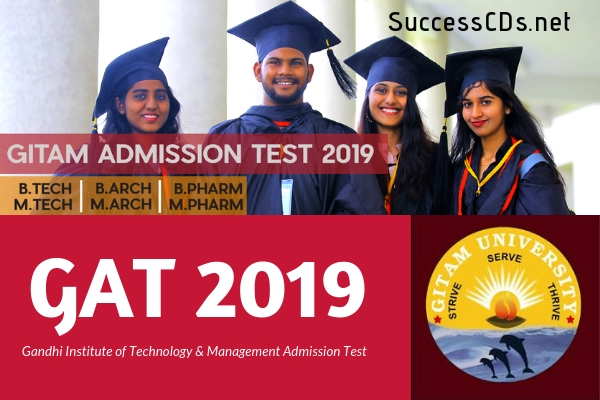 GITAM Admission Test (GAT) is a computer based online test conducted for admission to UG & PG Technology & Pharmacy Programs in GITAM University at its Bengaluru, Hyderabad and Visakhapatnam Campuses. Listed below are all the GAT exam related dates that an applicant or an aspirant should know for 2019. What are the Courses Offered at Bangaluru Campus through GITAM GAT Test? What are the Courses Offered at Hyderabad Campus through GITAM GAT Test? What are the Courses Offered at Vishakhapatnam Campus through GITAM GAT Exam? What is the Eligibility Criteria to Apply for GITAM GAT Exam 2019?